It took Sen. Ted Cruz to finally persuade me to answer a riddle that's bothered me for years. Suppose somebody yanked away the law that currently props up the nation's ethanol industry, as Cruz has proposed. What would actually happen? Before we get to the answer, let me mention why it's important, and why I'm writing about it here in The Salt. The gasoline that fuels your car is actually 10 percent ethyl alcohol, or ethanol, and that fact has had a profound impact on America's farming landscape. As ethanol use increased over the past 15 years, dozens of giant distilleries — known, more respectably, as ethanol plants — appeared in the country's corn belt. Feeding those distilleries is now a full-time job for roughly 35 million acres, or 55,000 square miles, of corn fields. Offhand, I can't think of a single agricultural product that exceeds the scale of ethanol. 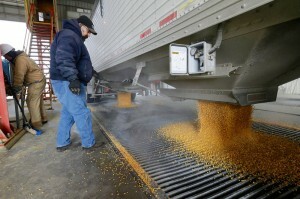 Corn farmers love the ethanol boom, the way any manufacturer loves a big customer. Many environmentalists, on the other hand, despise it. Ethanol is often called a renewable fuel, because you can grow that corn year after year, absorbing carbon dioxide from the air in the process. But growing all that corn for fuel also means more soil erosion, more water pollution, and it can even force the clearing of more land to grow things that people actually eat. This argument over the virtues and evils of ethanol focuses on one particular law: the Renewable Fuel Standard (RFS), which requires that gasoline manufacturers purchase large and, until this year, ever-growing amounts of ethanol, which they then blend into the nation's fuel supply. If you oppose government interventions in the free market, as Cruz does, the RFS is an outrage. "End the Ethanol Rip-Off," wrote author Robert Bryce in The New York Times last year. He pointed out that a gallon of ethanol delivers only two-thirds as much energy as a gallon of pure petroleum-based gasoline, and as a result, we're paying about twice as much for that ethanol, per unit of energy, as for petroleum-derived gasoline. The loser, he says, is the American consumer, to the tune of about $10 billion each year. This view of the RFS is widely shared across the political spectrum, including, for instance, the editorial board of The Washington Post. Groups hurt by high corn prices, including hog farmers and the fast food industry, are on record calling for the abolition or relaxation of the ethanol mandate. In fact, even ethanol's backers, in their fierce defense of the RFS, appear to believe that it is essential for the survival of their industry. But is that really true? It took ethanol-dissing Ted Cruz's victory in ethanol-loving Iowa's Republican presidential primary to finally persuade me to hit the phones and figure this out. I found two experts who've examined this question in great detail: And here's their bottom line: If the law changed tomorrow and gasoline companies were free to ignore ethanol, they'd almost certainly keep right on blending ethanol into their fuel. Got that? The ethanol mandate requires gasoline companies to do something that, at the moment, they'd do anyway. The reason, in a word, is octane. Octane is a measure of gasoline's tendency to ignite under pressure. If it's too low, the gasoline/air mixture in an engine's cylinders will burn too soon, creating damaging "knocking." The industry standard for gasoline is 87. But getting gasoline's octane rating up to that standard costs money. It means more refining of the petroleum, or using high-octane compounds in your gasoline formula, such as — you guessed it — ethanol. So gasoline companies aren't using ethanol for its energy — they're buying it for its high octane rating. "As of today, the alternative sources of octane are more expensive," says Irwin, who just updated his calculations on demand for ethanol last week. "The truth is," Niznik continues, "the [petroleum] refining folks knew in their hearts that if the [ethanol mandate] went away for a while, ethanol use wouldn't drop much. They were looking around at the octane replacements, and knew that those things were really expensive." Niznik says removing ethanol also would have forced gasoline companies to disrupt their refinery operations. If this is true, though, and the ethanol industry doesn't really need the law that requires ethanol in gasoline, why does it defend that law so fiercely? "Without the RFS, it's a riskier world" for the ethanol industry, Irwin replies. According to Niznik, there may be some justification for that fear. "Refiners are looking strategically up the road," he says. "They're looking at forecasts of shrinking gasoline demand. They could say to themselves, 'Why should I be giving 10 percent away? I want to sell product that's mine!' " Switching to petroleum-based octane boosters such as alkylate would not be easy, though. But those other sources of octane are getting cheaper, Niznik says, and in the long run, they might be just as cheap as ethanol. In 10 years, he says, the business case for using ethanol could disappear. Encouraging political news on ethanol and immigration. he candidates are off and running in New Hampshire, but before the shouting gets loud again it’s worth sorting through the voter and turnout data from Monday’s Iowa caucuses for some early election-year lessons. There’s some good news for pro-growth Republicans. Start with King Ethanol, whose throne looks wobbly after Ted Cruz became the first Republican in recent memory to win the caucuses while refusing to bow down before the Iowa ethanol lobby. Corn is Iowa’s leading crop, and some 47% goes to make ethanol. But this is an industry that exists largely because Washington decrees that the nation’s gasoline include an increasing amount of the biofuel. Republican philosophy rejects mandates and subsidies, but every presidential year this principle runs up against ethanol and the Iowa caucuses. Most Republicans surrender. That’s the path Donald Trump chose, but Mr. Cruz said he opposes all energy subsidies and mandates, including ethanol. He also argued that a free market would be better for Iowa farmers. For this brazen disrespect he was attacked by Iowa Gov. Terry Branstad, who called on Iowa Republicans to defeat Mr. Cruz because he is the “biggest opponent of renewable fuels” and whose son is state director of a pro-ethanol group. That’s a powerful lobby, but Mr. Cruz prevailed. We have our differences with Mr. Cruz. But by taking the political risk of opposing ethanol mandates, he has liberated future Republican candidates from feeling they must first genuflect before corporate welfare that even Al Gore now admits was a mistake. *** Then there’s immigration, which we have been told by countless voices on the right is the driving force behind populist anger against “the establishment,” whatever that is. But according to the Iowa entrance polls, the anti-immigration rage is overrated. Pollsters asked voters entering the caucus sites to select the issue that was most important to them, offering four choices in the GOP contest: immigration, the economy and jobs, terrorism, and government spending. Only 13% of voters chose immigration as most important, well behind the other three. Government spending was number one at 32%, the economy was second (27%) and terrorism third (25%). Among the immigration-first voters, Donald Trump (44%) and Ted Cruz (34%) did best while Marco Rubio won only 10%, well below his totals among voters who cared more about the other three issues. This isn’t surprising given the priority that Messrs. Trump and Cruz put on closing the U.S. borders and deporting illegals in the U.S. In politics you are what you emphasize. 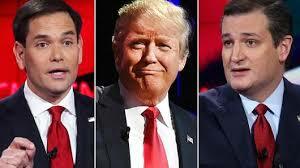 But immigration clearly wasn’t the killer app in Iowa that Mr. Cruz hoped it would be against Mr. Rubio. Conservative Iowa is supposed to be the red-hot center of anti-immigration politics led by Rep. Steve King, who backed Mr. Cruz. But even in the Hawkeye State immigration doesn’t appear to be the presidential litmus test for Republican voters that some on the right have tried to make it. GOP voters are smart enough to know that reviving economic growth and preventing terrorism are higher priorities. The immigration debate isn’t over this year, and on Tuesday in New Hampshire Mr. Cruz launched another assault on Mr. Rubio. But the Iowa results suggest that the Floridian can neutralize the attack if he isn’t defensive and fights back. He’d be that much better positioned for the general election if he does.